We have all had a bad skin day. I have for sure. I have even chronicled my skin challenges online. I’ve even developed a makeup remover wipe, La Rose by Lauren Napier designed to combat oily and acne prone skin conditions! Skin is in bloom and if you experience acne, blemishes and over productive oil glands I encourage you to keep reading! I have a few skincare tips that might change your life OR at least reduce your time with uninvited guests who choose to reside next to your nose or center stage on your chin or forehead. La Rose by Lauren Napier ‘s fusion of rosewater, starfruit, aloe, cucumber and chamomile help balance oily and blemish prone skin. Rosewater’s anti-inflammatory properties that can help reduce the redness of irritated skin, get rid of acne, dermatitis and eczema. While starfruit contains Vitamin A, which reduces the size of your oil-producing glands, removes toxins and redness and protects from acne. It also contains Vitamin C, which protects against pollution, fine lines and wrinkles and sun damage. La Rose by Lauren Napier is a unique cleansing wipe as it aids in removing oil and dirt accumulated in clogged pores while healing the skin. Use La Rose by Lauren Napier to gently and effectively remove makeup, oils, perspiration and pollution from the skin’s surface. 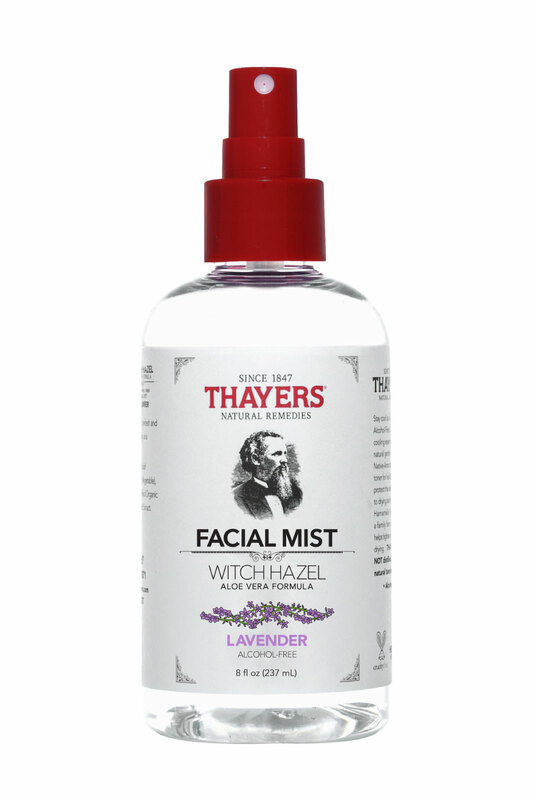 Thayers Natural Remedies Witch Hazel Facial Mist in Lavender is one of my absolute desk side favorites. I use it when I am feeling tired and just before I start leaning on my hands which can result in transferring oils and bacteria into my skin. Lavender’s anti-inflammatory and anti-bacterial properties cleanse skin, help manage acne, calm sensitive skin, and reduce redness and irritation. Not only does lavender help calm the skin from the outside-in, the smell can physically calm you as well. Lavender is extremely gentle and beneficial for all skin types, especially those that are sensitive or acne-prone. 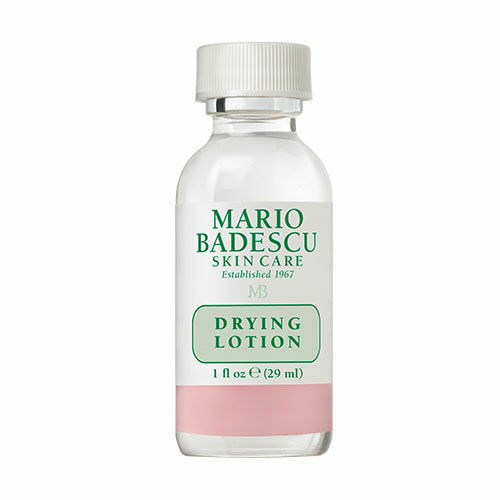 Mario Badescu Skincare’s Drying Lotion is the original, award-winning on-the-spot solution. Renowned for its ability to help dry up surface blemishes overnight, our iconic Drying Lotion continues to reign as a best-selling favorite amongst beauty editors, celebrities, and professionals worldwide. This fast-acting, effective spot treatment is specially formulated with Salicylic Acid, Sulfur, and Zinc Oxide to help draw impurities from the skin and target pesky problems while you sleep. ***No matter how tempted you are, don’t shake the bottle. You can use your Drying Lotion to target surface blemishes on the back, chest, and neck, too. Origins Spot Remover is on point guys, salicylic acid instantly helps speed healing. While anti-spot technology helps visibly correct lingering discoloration. And to help skin stay spotless, helps clear excess oils and pore-clogging debris. Origins recommends the Spot Remover for all skin types, including sensitive. I use it, I love it. I will sting a bit, TBH. The overall benefit is rapid blemish reduction. Mighty Patch hydrocolloid acne stickers protect blemishes for faster healing overnight. Each pimple patch acts as a protective cover and prevents touching and picking. 12 pimple patches in a box. ***May not be suitable for people who are allergic to pectin or rubber. Mighty Patch is latex-free. A little concealer goes a long way. If you must cover up, use a lightly saturated Beauty Blender sponge to stipple concealer over the blemished area. If your blemish is open, try to avoid applying makeup over it. This can cause a vicious cycle that delays healing and promotes more bacterial growth amongst the affected area. Don’t sleep in your makeup. Just don’t do it. You skin absorbs whatever is on your face while you sleep at night - that includes your makeup! Cleanse your skin as soon as you walk through the door. If you are just way too tired for your entire skincare routine grab your stash of Lauren Napier Beauty to remove makeup, perspiration and pollution from your skin’s surface. Use earbuds, try to keep your phone off of your face. Exchanging the bacteria from your phone’s surface to your temples and cheeks can be a contributor. Especially if you lay your phone down in a public bathroom or at the card reader at the grocery store - YUCK! Wash your hands! Leaning into the palms of your hands after opening a door, touching an ATM or holding the subway rails can cause germs and bacteria to be planted right back into your skin. This causes acne and is over all gross so try your best to avoid it!